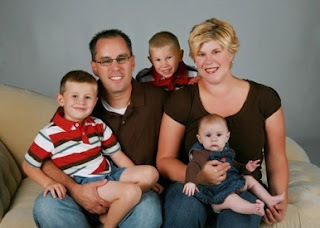 Andy Wirt (pictured with his family), who is planting a Grace Brethren church in Ohio, sends along the following notice of need. Contact Andy at andy@clearviewgrace.com. An extra piece sitting around your building might be our treasure! Hi friend- we’re a new church forming in the New Albany, OH area and are looking to build a sound system from scratch. We’ve developed a list of things we’re looking for and I wondered if you might take a minute, peruse it, and get back to me if you have (or have a lead on) a quality piece of used equipment that might fit the bill. We’d be happy to compensate you for the item(s). We’re hoping to put something together by Easter, so your input in the next week or so is valuable to us.